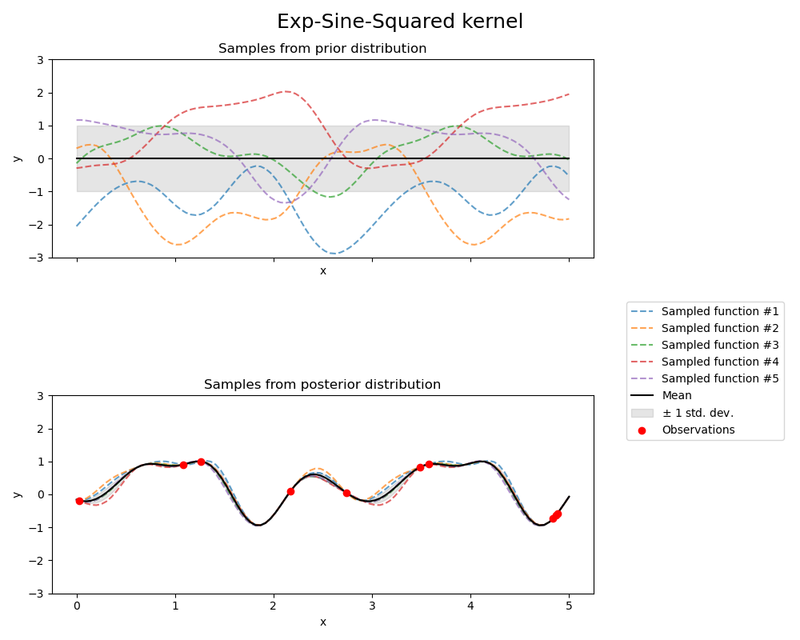 This example illustrates the prior and posterior of a GPR with different kernels. 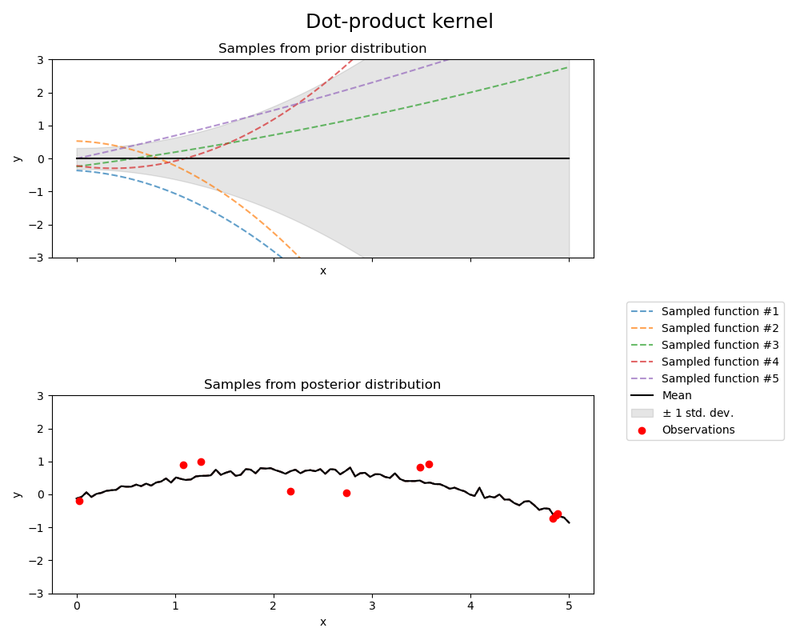 Mean, standard deviation, and 10 samples are shown for both prior and posterior. 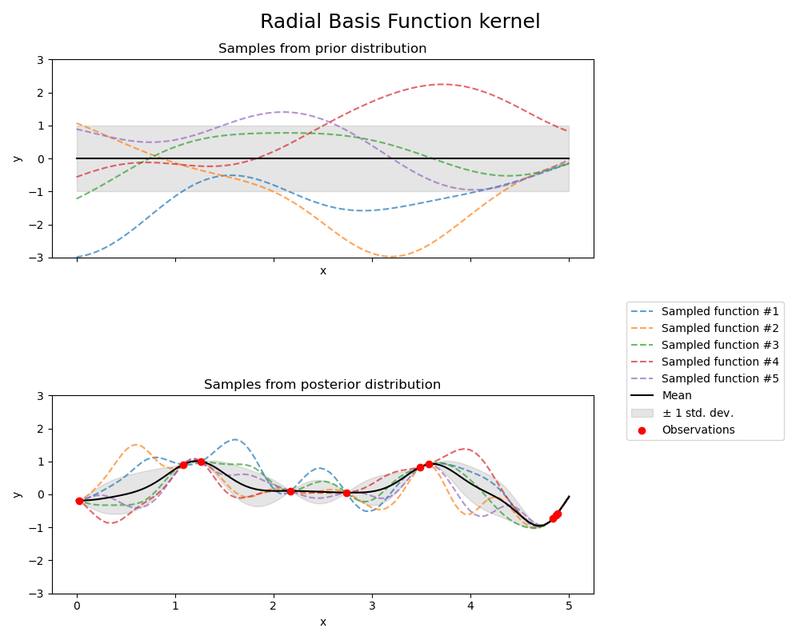 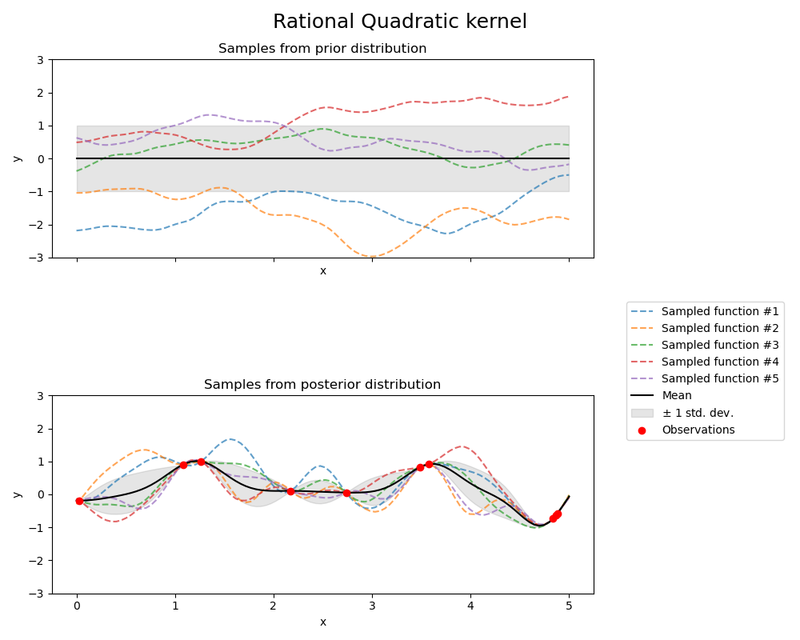 plt.title("Posterior (kernel: %s)\n Log-Likelihood: %.3f"